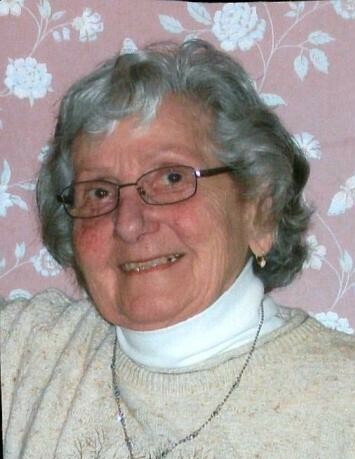 Daughter of the late Fedele and Julia (Scalle) Baroni, Anne was born on October 11, 1923,was a lifelong resident of Plainville, attended local schools and was a graduate of Plainville High School. She went on to work for Trumbull Electric, which would later become General Electric, where she played for the Trumbull Electric softball team during W.W. II. An avid crafter, she loved to sew, knit, crochet, and paint. Anything she planted into the earth would thrive, and she created a floral oasis in her yard year after year, grown mostly from clippings, with daisies being her favorite. Known for her kindheartedness and independence, she will be greatly missed. Family and friends may gather in celebration of Anne’s life on Monday, March 25, 2019 from 10 a.m. to 11 a.m. at Plainville Funeral Home, 81 Broad St, Plainville. Words of Remembrance and prayers will be held at 11 a.m.